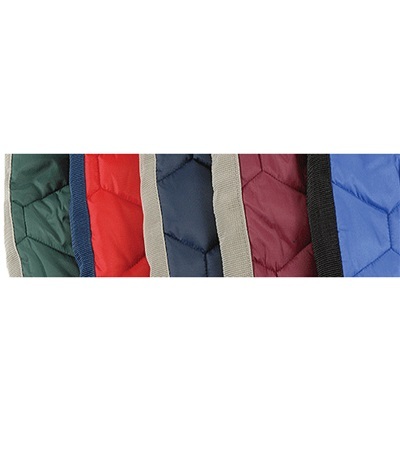 Quilted Blanket/Rug - Jacks Inc. 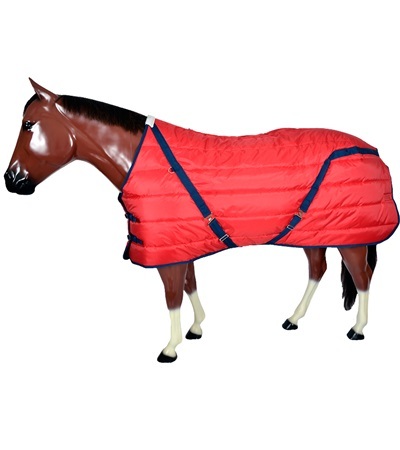 This Quilted Blanket is made with 210 denier polyester outer shell, a thick layer of 300 gm polyfil insulation, 6 oz. 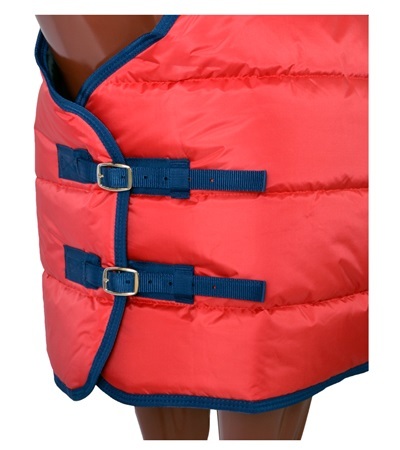 cotton inner lining, and a nylon lined shoulder area. 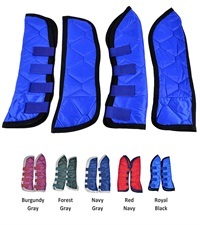 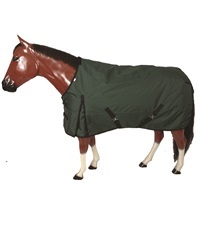 Elastic leg straps, tail strap and fleece at withers ensure a warm, secure and comfortable fit. 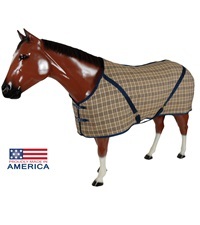 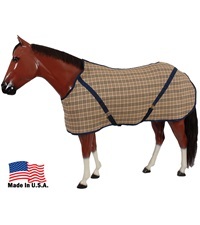 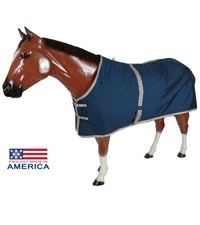 This blanket features a standard neck cut and two buckle open front.